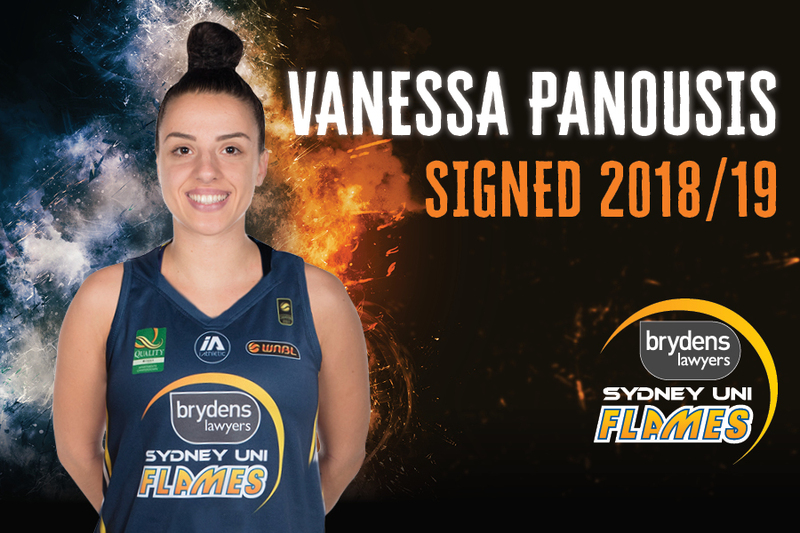 Brydens Sydney Uni Flames are pleased to announce the signing of Vanessa Panousis for the 2018-19 WNBL season. Following a stint with the MAC Adelaide Lightning, the Sydney-sider will return home to play for the Flames, where she was a development player in 2012-13. The 170m point guard says she is keen to be returning to Sydney. “I’m just ready to get started,” she added. Panousis had a hugely successful college career with Virgina Tech Hokies in the Atlantic Coast Conference, named in the ACC All-Academic Team twice (2015, 2016). Prior to her four college seasons with the Hokies, Panousis represented the Gems at the U19 FIBA World Championships where they won bronze. Two years prior, in 2011, she represented the Sapphires at the FIBA U16 Oceania Championship who won gold. More recently in 2017, she took gold at the Summer Universiade in Taiwan, joined by fellow Flame, Alex Wilson. Join us in welcoming Vanessa back to the Flames! Catch her and the rest of the girls in action this upcoming WNBL season by securing your early bird memberships HERE.